The game is a deep free to play MMORTS where players will have to lead their nation to victory during the Second World War. In the game we can play with a nation of North America and Europe, and our mission will be to conquer new territories, assemble a mighty army, and use trade, conquest, diplomacy and espionage to beat our rivals. The game does not need to be downloaded, and can be played from your favorite browser. 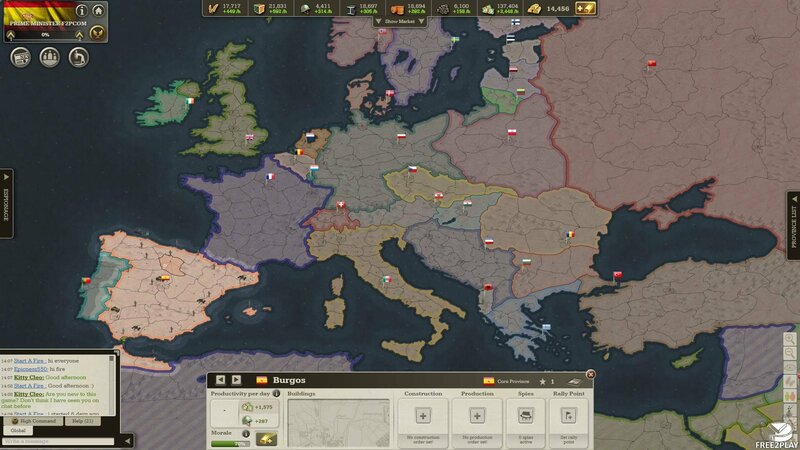 Our main task in the game is to get resources, build and improve buildings, produce a wide variety of military units, and expand our territories in a realistic map of North America and Europe, which has been divided into various provinces that are part of real countries. 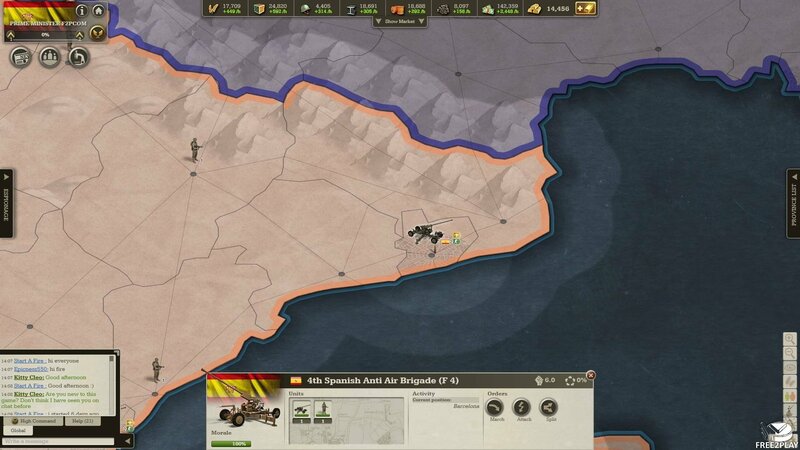 In the game we will lead our own nation, randomly assigned upon entering the game for the first time, with several provinces under our control which will provide us resources and bonuses in order to create a strong military force for defensive and offensive uses. 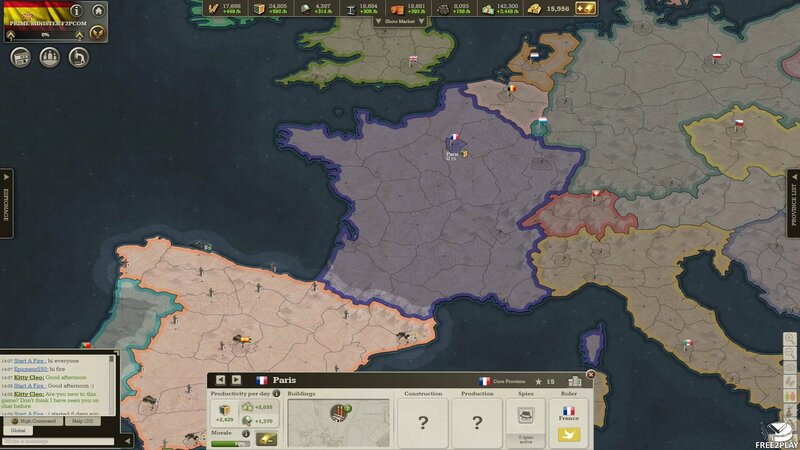 The game is divided in several worlds, and in each world there are a number of players determined by the amount of available countries. Once all the countries have a leader the round begins. The objective of each round is to accumulate the most victory points to win the game; this can be achieved by conquering key territories. Get enough key territories and victory is yours. 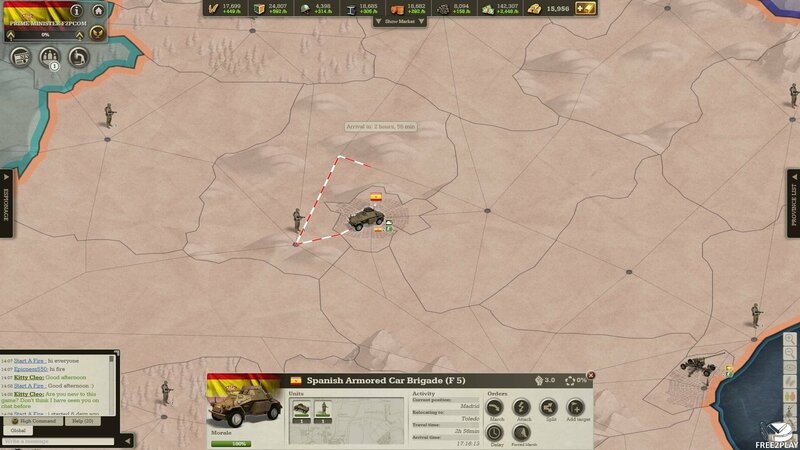 In the game there are different types of resources, which include food, money, or Metal, that players will have to get to build buildings and train troops for their armies, in addition to having to pay for each unit's maintenance. Resources are mainly obtained from the provinces, and although all provide money and Manpower, only some of them provide key resources, which make these provinces very valuable and potential targets to conquer. One of the key aspects of the game is to manage the time. Investigate new technologies, improve buildings or produce units, takes time to be completed. Similarly move troops across the map requires time, even days if the destination is far away, so plan carefully these actions is key to success. Players can only construct one building, or produce one unit, at a time in each province and are unable to queue building/producing by default (although players can purchase this queue feature by paying real money). To unlock various units, players will need to investigate the relevant technologies in the five main research trees for each unit type: armored units, Naval Force, Air force, Infantry and Secret units. Technologies can only be researched after a certain number of days have passed in the round, each technology having its own pre-requisite day, and players must also unlock pre-requisite technologies to get access to higher tier units. Espionage is an important aspect of the game and being diligent with your spies can keep you out of trouble, either using them to perform Counter Intelligence in your own provinces to hinder enemy spies, or conduct spy missions themselves in rival lands. Spies can gather a wealth of information, provide the location of a nation's entire army, and disrupt resource production and more. Every day the game will launch a newspaper that will inform players of the key event that have happened the previous day, as who is attacking whom, who have formed alliances, how the nations are progressing and it's even possible to leave messages for other players. Gold is the game's premium currency that must be purchased with real money. With this currency players can accelerate the building construction times, units training times and the time needed to finish investigations. Players can also use gold to get resources.